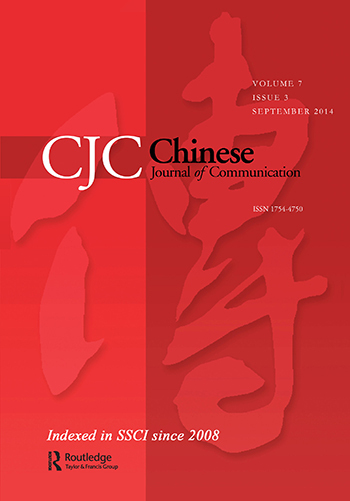 Launched in 2008, The Chinese Journal of Communication (CJC), is a scholarly publication aimed at elevating Chinese communication studies along theoretical, empirical, and methodological dimensions, while contributing to the understanding of media, information, and communication phenomena around the world. 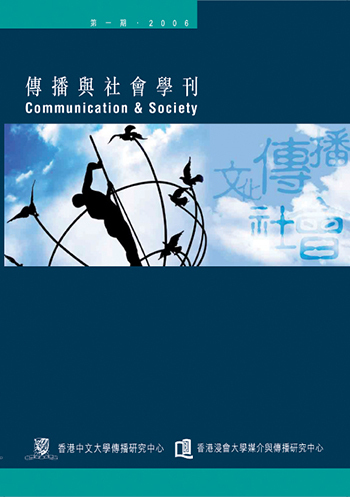 This refereed journal serves as an important international platform for scholars and students in Chinese communication studies to exchange ideas and research results. Interdisciplinary in scope, it will examine subjects in all Chinese societies in Mainland China, Hong Kong, Taiwan, Macau, Singapore, and the global Chinese diasporas. The CJC welcomes scholarly works using social scientific or humanistic approaches on such topics as mass communication, journalism studies, telecommunications, rhetoric, cultural studies, media effects, new communication technologies, organizational communication, interpersonal communication, advertising and public relations, political communication, communications law and policy, and so on. Articles employing historical and comparative analysis focused on traditional Chinese culture as well as contemporary processes such as globalization, deregulation, and democratization are also welcome.